Online is the perfect blend of Logic, Technology and Usability. I am the left brain, the scientist, the mathematician. People love using technology that is seamless and easy. So why do so many people complicate it? Well, let me tell you a little story. Back in the day before the internet, none of my fellow geeks cared so much about usability and design. To be fair, if you designed something that communicated about a billion times better than anything available at the time, you aren’t thinking too much about which typeface to use. So as the internet was born, it was left to others to figure out how to make it look good. Problem was, and to a certain extent still is, those ain’t the same people. Making things simple enough to be intuitive and engaging but at the same time work on any modern device is left to online engineers like me. Now I may be an old-timer, but the young team I work with are the niftiest of nerds. They’ll whip you up a mobile-ready, fluid-design and mighty-fine site, even pushing back on the creative team to ‘make it simpler for the users’… like you! Online is about elegant technology that just works. Want to know more? Then test us today. 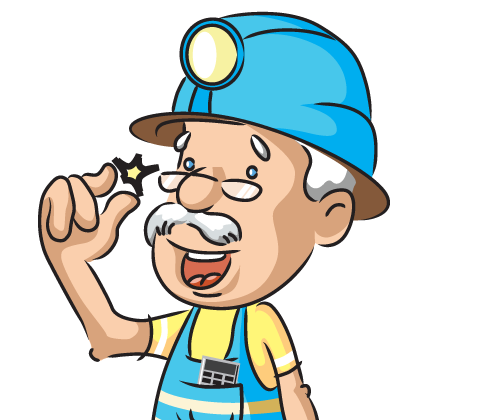 Go on, see if you can challenge us on "Hi I’m Marvin…" - Part of our 159 services at &Mine. We are quick to respond but if you want to go direct, test us during office hours.